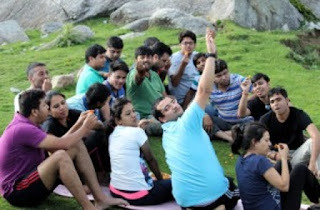 Triund which is 9 kms away from Mecleodganj is situated on a ridge with a beautiful view of whole Kangra Valley on one side and Dhauladhar mountain range on the other. Night stay in a tents is a memorable experience at Triund. 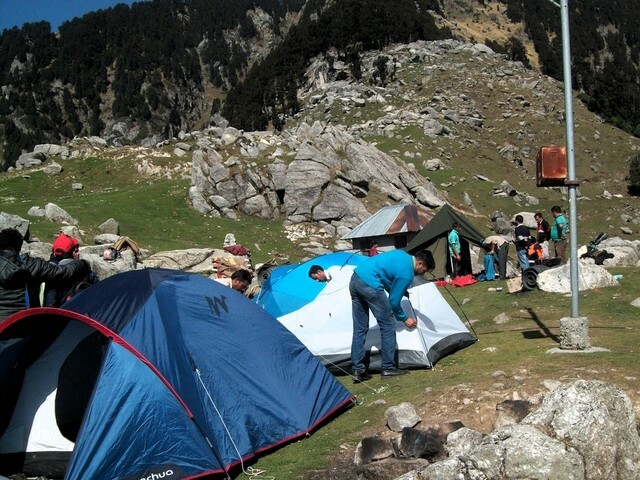 LLAQUA (where the snow line start during summer also) which is five kms away from Triund. 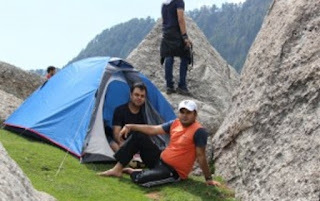 Triund is a popular tracker / bag-packers spot at a height of 2973 meter near Dharamshala in the Dhoula Dhar mountains range in Himachal Pradesh. At Triund the view of the morning sun coming behind the mountains and in the evening the sunset down below the Kangra valley is a memorable and mesmerizing experience. From Delhi one can easily go the Dharamshala. Arrival in the morning at Dharamshala. Upon arrival transfer to Hotel. Breakfast at Hotel. Afternoon free to move around Mecleodganj and near by areas. Dinner and over night at Hotel. After Breakfast gear yourself for trek to Triund. Arrival at the time for Lunch. Dinner and overnight at Tents. After Breakfast return back to Mecleod Ganj. Monday : Morning arrival at Delhi ISBT. Accommodation on double/triple sharing basis. One night at Hotel & 01 Night in Tent at Triund. MEALS : as per itinerary.